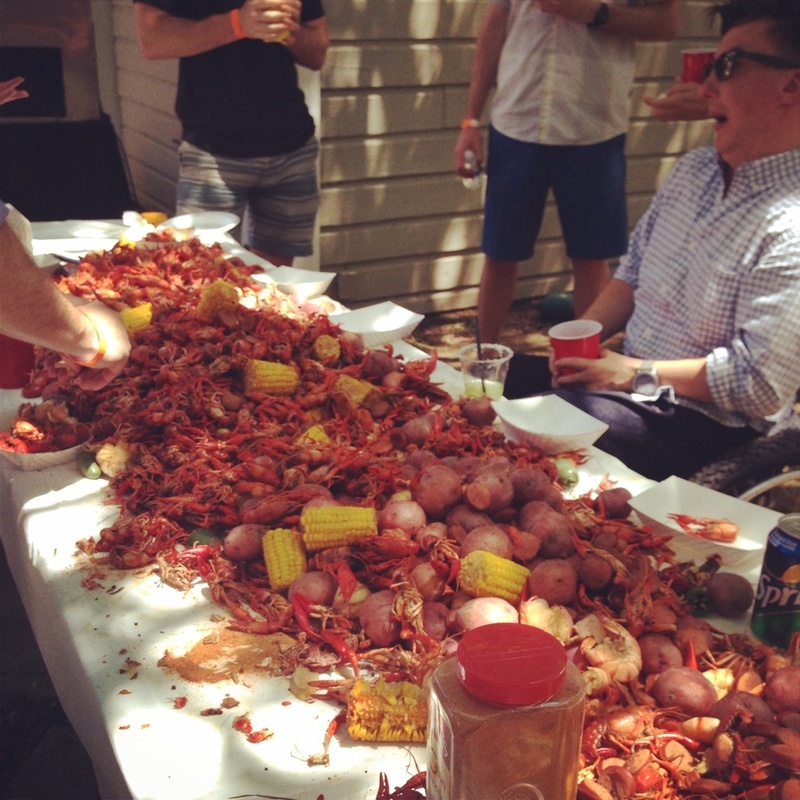 A few months ago when we were planning for 2014 I decided to have our donor matching event lead up to our Crawfish Boil and do it all at once. At the time, I thought this was a brilliant idea! We could get our donors to donate and get their contributions matched dollar to dollar up to $50,000 and then end the giving campaign with our annual Crawfish Boil. So basically we had 4 days to raise $100,000 and plan a massive party. I maybe didn't take into account how much those time two projects take to put on! But we made it happen because of all of our awesome donors and supporters! On Wednesday morning I woke up with the mission of getting on the phone and emailing our donors. We had a very generous match up to $50,000 and had 4 days to raise it. I had spreadsheets printed out and got on the phone. I HATE asking for money and calling donors when they already do so much, but part of the fun is hearing about how excited they get when they receive updates from their sponsored kids and communication. It was so cool to hear moms talk about their kids praying for their Zambian child every night before they go to bed. It reminds me how invested our sponsors are of their children in Zambia and that we aren't in this alone. Throughout the 4 days I made hundreds of phone calls and basically somewhat harassed our sponsors. But you know what, our supporters and donors stepped up to the plate and gave generously! I was so excited to see the donations come in and know that they were all doubled! It is a rare occasion to have your money be 100% matched. It was awesome to tell someone that if they gave $10 that turned into $20 and that would provide 40 meals in Zambia! 40 meals people!! On Saturday we had our Crawfish Boil and so many supporters came out to play and eat some bugs! We had a bit of a change of plans after we didn't receive the permit to shut down the block for the party. After some brainstorming (and amazing neighbors) we knocked out a fence to combine two backyards. It was awesome! Kids enjoyed the face painting and running around. The weather was great and we couldn't have been happier with the turnout. At the end of the four day extravaganza we raised a total of $49,604.39! If you double that it becomes $99,208.78! I was shocked and so thankful for our donors and their generosity. I want to thank everyone for their financial support, volunteering for the Crawfish boil, and encouragement we got along the way. The four days were filled with work, excitement, adrenaline, and thankfulness. And the 5th day was filled with exhaustion. God continues to bless us and I never could thank our supporters enough who make that blessing possible. Watch out Zambia we are coming to make a big difference in lots of kids lives!